The second Linux meetup in Cork happened yesterday, September 28 at the G.19 Lecture theatre, Kane Building, UCC. Thanks to all 15 members for taking the time to come and for contributing to some valuable discussions. One of them (Henry Tubritt) had come all the way from Wexford! Many thanks to Gerard Hooton and Peter Flynn from UCC for giving us an overview of Linux usage in their environments. 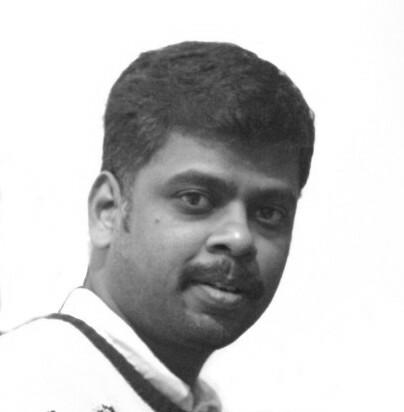 This talk by me (Vimal) was a short review of the GNOME desktop environment 3.24.2 (GNOME shell features, Nautilus file manager, Online accounts, GNOME extensions). This was followed by short demos of Firefox, Chromium, Thunderbird, Shotwell, GIMP, Inkscape, Audacity, Blender, gedit, GNU Emacs and LibreOffice. 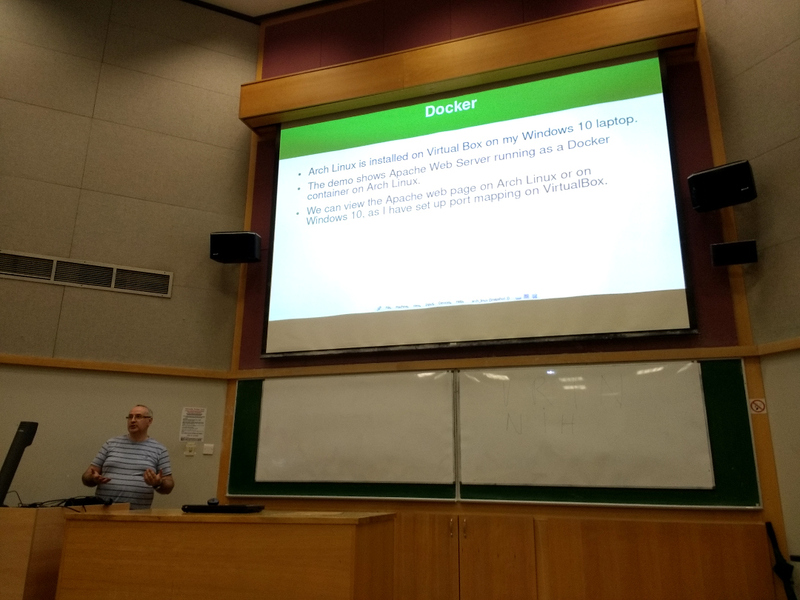 In the second talk, Denis Noonan showed us how multiple levels of virtualisation is now possible with Linux and software like Docker and VirtualBox. He also shared his experience on installing Arch Linux and provided some useful tips - the Arch Wiki software installation from repositories (using pacman) and from the Arch User Repository (AUR). The third talk - self-hosting a blog based on the Ghost blogging platform, was postponed to a later date due to lack of time. 6 DVD's of Ubuntu 16.04.3 LTS (Ubuntu GNOME & MATE) editions were given away to members wanting to try Linux.